Funny picture of Bald Eagles birds sitting on driftwood along the beach. 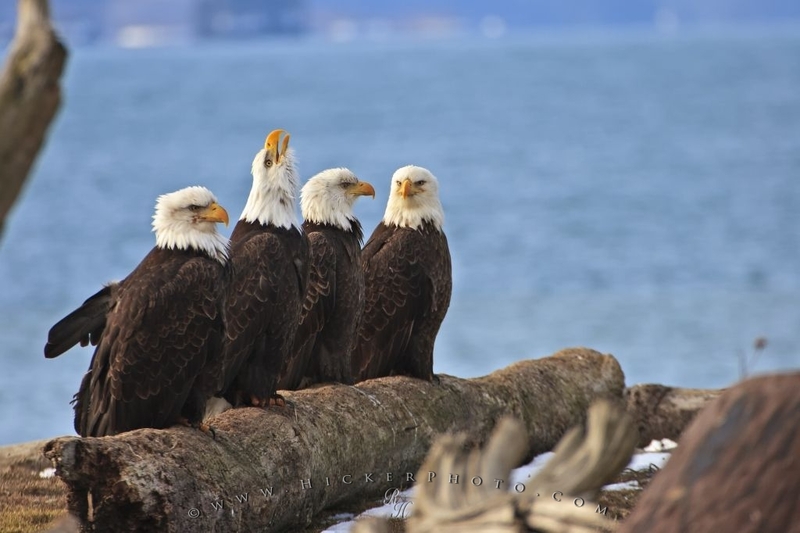 Conference Call - Photo of Bald Eagle birds sitting on log, Bald Eagle, Haliaeetus leucocephalus, Alaska, Homer, USA. Make sure to see all our Bird Pictures.